There are some days when it’s just so worth going to the mailbox. Imagine my surprise when our mail delivery guy (an intrepid and friendly soul named Charlie) brought this smallish box to my door the other morning. The address label was not one I recognized but when I opened the box, I knew exactly why that package had arrived at my door. 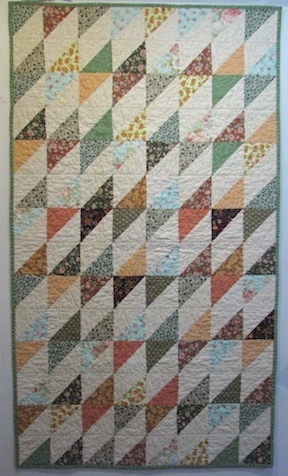 This quilt was made by a Diane Lambert from Danville, Vermont, a woman I don’t believe I know. It is a contribution to the Parkinson’s Comfort Project. The blocks are 4 inches finished which means they must have started life as 4 3/4 to 5-inch squares. It was quilted just right, simple swirling circular shapes, and it must have gone through the washer and dryer because it has a wonderful softness to it that makes it snuggly. Wow, if I keep talking this way, I’m going to have to go take a nap—or make a cup of tea. I think I’ll vote for the tea. Anyhow, I just wanted to share this wonderful gift to the Parkinson’s Comfort Project. I know that whoever receives this quilt will be delighted. Everything in the woods changes on a daily basis at this time of year. 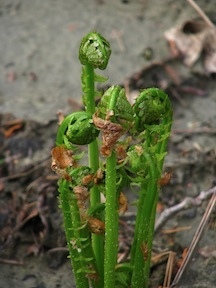 Last week, there were no fiddlehead ferns. 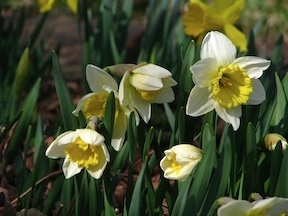 Today, they are about twelve inches tall. 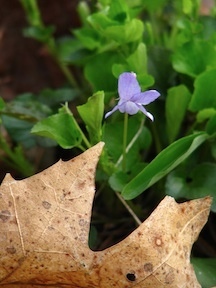 Last week, the pursed lips of violet leaves were just above the ground. 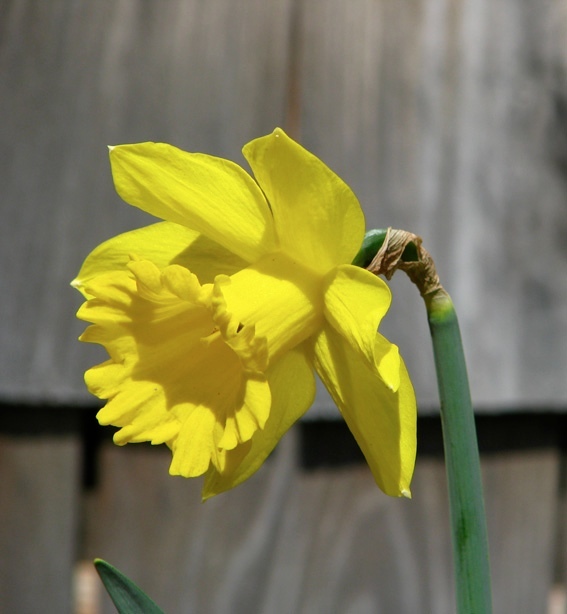 Now the flowers are starting to bloom. 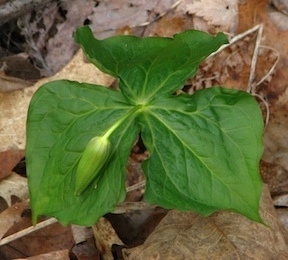 And the deep purple of the trillium are starting to dot the understory. There’s a saying that you cannot step twice in the same river. 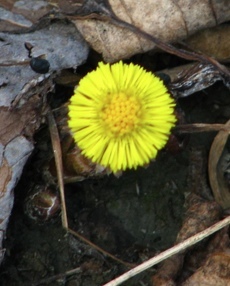 In spring in Vermont, you can’t step twice into the same forest. 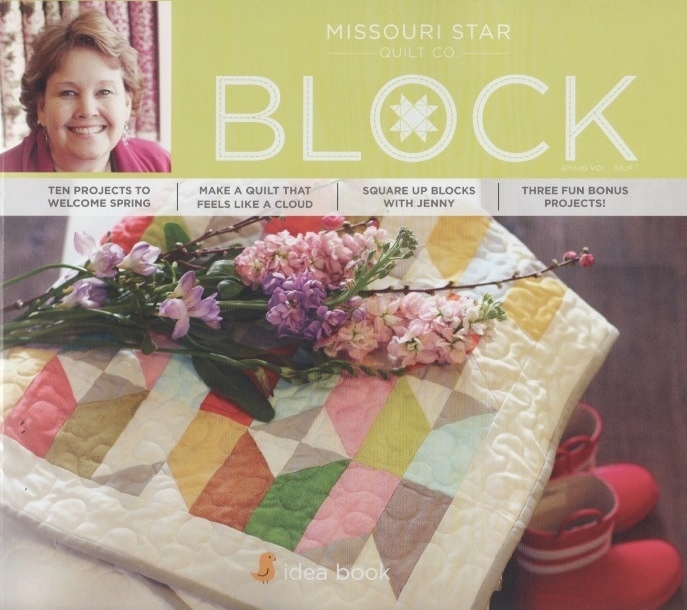 I’ve become a fan of Jenny Doan, the owner of the Missouri Star Quilt Company. Or at least one of the owners because I think it’s probably more accurate to say that this is a family-owned business. She has such a breezy style in her tutorials that even though I might not necessarily want to do the quilt she’s demonstrating, I just enjoy watching. And watching is the only thing I’ve done up until a couple of weeks ago when my attention was caught by a scrappy quilt made with a ruler that will cut blade shapes used most commonly in a pattern known as Dresden plate. So I actually made an order and while I was online (you know how this goes), my attention veered toward a new magazine put out by the company (which is still something of a newbie). It’s called Block and I got my first issue in the mail the other day and as one graphic designer to another, I was impressed. Block is all Missouri Star all the time, no other ads cluttering up the pages. The photos are great, instructions clearly written. It’s so well done, I just have to share. Him wisely but not well. 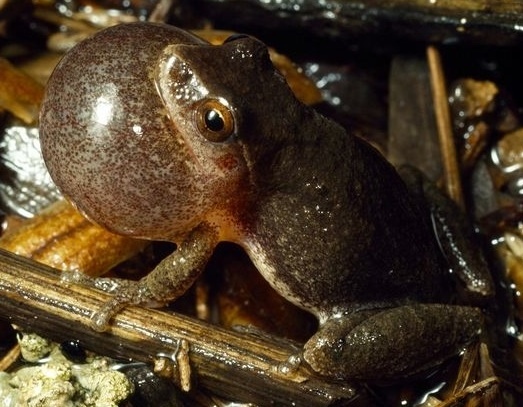 Bending its own face toward the pool. Not so well for Echo, echo, echo. We can see the tops of peonies and our purple columbines—which spread and spread and spread—are uncurling from the ground. This year, I plan to take some of those seeds and start scattering them down on the land that got so torn up by the hurricane and then the building of our retaining wall. 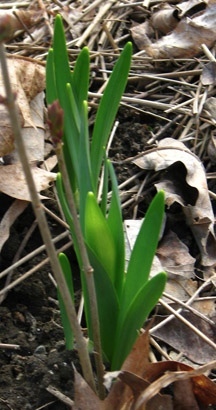 I also have a clot of day lilies to take down there as well. Those orange babies will go toe-to-toe with the Japanese knotweed.